Automate repetitive tasks in large buildings . Crane Mod 1.7.2 Mod is a mod that allows us to manufacture construction cranes in Minecraft, which will be useful to “draw” the structures and generate them automatically . In firts place we should create the cranes, once all blocks for its construction are used , it will be operating and you will acces to the structures menu by right clicking on the screen that exists in each of the cranes we’ve created. Once inside the interface crane “draw” the structure in the gap at the top ( we can expand both the number of rows and columns to make larger buildings and draw using layers) , once the template is created just click at ” Start building” and it will appear at your World. To operate the cranes , we will put a chest just under the crane , where you have to place coal and other materials that you want to use for your bulidings. 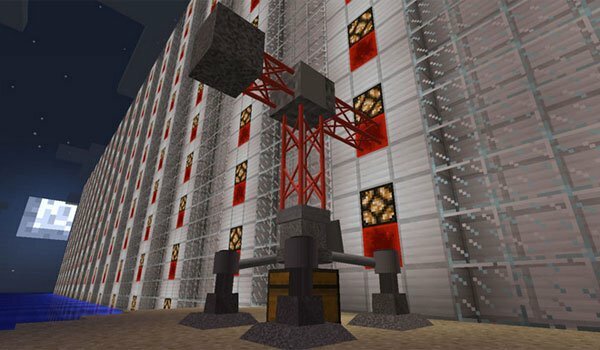 How to install Crane Mod for Minecraft 1.7.2? Draw constructions usig layers with automatic cranes!